All letters will be opened by the corporate secretary. Any contents that are not advertising, promotions of a product or service or patently offensive material will be forwarded promptly to the addressee. In the case of communications to the Board or any committee or group of directors, the corporate secretary will make sufficient copies of the contents and send them to each director who is a member of the committee or group to which the envelope is addressed. go to compliance-helpline.com to make an online report. Additional contact numbers for countries outside the United States can also be found in the Steelcase Inc. Code of Business Conduct. You can choose to remain anonymous when using any of the above means of contact. If you choose to file a report, you will be given a tracking number so you can check back on the status of the report confidentially. 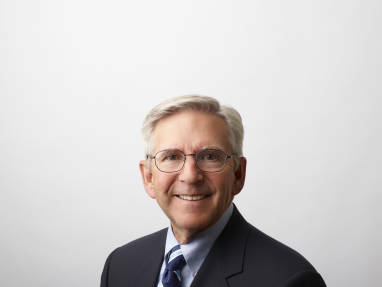 Retired; formerly President and Chief Executive Officer, Green Mountain Coffee Roasters, Inc.
Lawrence J. Blanford is a member of the board of directors of Steelcase Inc., the global leader in the office furniture industry. Steelcase delivers a better work experience to its customers by providing products, services and insights into the ways people work. Its portfolio includes architecture, furniture and technology products. Larry is a former director of Green Mountain Coffee Roasters, Inc. (GMCR), and served as its president and chief executive officer from May 2007 to December 2012. Prior to joining GMCR, from May 2005 to October 2006, Larry held the position of chief executive officer at Royal Group Technologies Ltd., a Canadian building products and home improvements company. From January 2004 to May 2005, Larry was founder and president of Strategic Value Consulting, LLC, a consultancy. Prior to that, he held various management positions with Royal Philips Electronics (North America), Maytag Corporation, Johns Manville Corporation, PPG Industries and The Procter & Gamble Company. Larry has experience with leading consumer products organizations in different industries, a strategic vision for growth, a commitment to corporate social responsibility, and an ability to achieve organizational goals marshaling resources around a compelling strategic imperative for quality results. Larry holds a B.S. degree in Chemical Engineering from the University of Cincinnati and an MBA from Xavier University in Cincinnati. Tim Brown is a member of the board of directors of Steelcase Inc., the global leader in the office furniture industry. Steelcase delivers a better work experience to its customers by providing products, services and insights into the ways people work. Its portfolio includes architecture, furniture and technology products. Tim Brown is currently CEO and president of IDEO, a global innovation and design firm. In his role, Tim has been focused on bringing human-centered design to public and private sector organizations. Tim serves on the board of trustees of IDEO.org, serves on the Mayo Clinic Innovation Advisory Council and the Advisory Council of Acumen, a non-profit global venture focused on improving the lives of the poor. In addition, he chairs the World Economic Forum Global Agenda Council on the Creative Economy. Tim’s writing has been featured in Harvard Business Review, The Economist and other prominent publications. His book on how design thinking transforms organizations, Change by Design, was released by HarperBusiness in September 2009. The recipient of numerous design awards, Tim has exhibited work at the Axis Gallery in Tokyo, the Design Museum in London and the Museum of Modern Art in New York. He holds an M.A. from the Royal College of Art and a B.A. from Northumbria University. 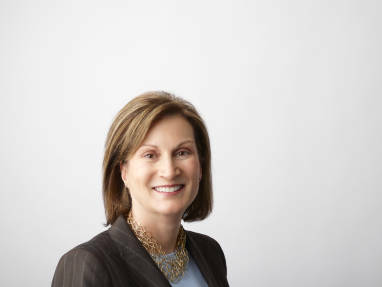 Chairman and Chief Executive Officer, ARZU, Inc.
Connie K. Duckworth is a member of the board of directors of Steelcase Inc., the global leader in the office furniture industry. Steelcase delivers a better work experience to its customers by providing products, services and insights into the ways people work. Its portfolio includes architecture, furniture and technology products. Connie Duckworth founded ARZU, Inc. in 2003, which supports the reconstruction of Afghanistan by empowering women, their families and their communities. She serves pro bono as its chairman and chief executive officer. Connie is a retired partner and managing director of Goldman, Sachs & Co., where she was named the first woman sales and trading partner in the firm’s history during her 20-year career. She is a trustee of Equity Residential Investments and The Northwestern Mutual Life Insurance Company. She serves on the Board of Overseers of the Wharton School in Philadelphia, Pennsylvania, and the Interfaith Youth Council in Chicago, Illinois. Connie is currently a director and the immediate past chairman of the board of NorthShore University HealthSystem in Evanston, Illinois, the first woman to have held this position. She is a past chair of the Committee of 200, the organization of leading women entrepreneurs and corporate business executives in the U.S. She is also the author of The Old Girls Network: Insider Advice for Women Building Businesses in a Man’s World (Basic Books 2003), a primer on how to start a business. The recipient of numerous awards, Connie was named a 2008 Skoll Foundation honoree for Social Entrepreneurship. She holds an M.B.A. from the Wharton School of the University of Pennsylvania and a B.A. from the University of Texas. David W. Joos is a member of the board of directors of Steelcase Inc., the global leader in the office furniture industry. Steelcase delivers a better work experience to its customers by providing products, services and insights into the ways people work. Its portfolio includes architecture, furniture and technology products. David served as chairman of the board of CMS Energy Corporation and its principal subsidiary, Consumers Energy Company from May 2010 to May 2016. Prior to his retirement in May 2010, David was president and chief executive officer of CMS Energy and chief executive officer of Consumers Energy (2004-10). He also served as president and chief operating officer of CMS Energy and Consumers Energy (2001-04). 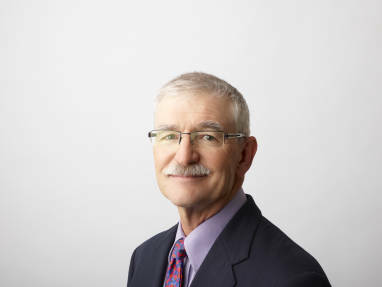 David joined Consumers Energy in 1976 and spent his entire career with the company with the exception of the period of 1979 to 1983 when he worked as a design engineer for a major architect-engineering firm. During his career at CMS Energy and Consumers Energy, David held senior-level positions in operations, engineering, marketing and regulatory affairs. David serves on the board of directors for AECOM Technology Corporation. David earned a bachelor of science degree in engineering science in 1975 and a master of science degree in nuclear engineering in 1976, both from Iowa State University. In 1989, he completed the Program for Management Development at the Harvard Business School. He is a licensed professional engineer in Michigan. 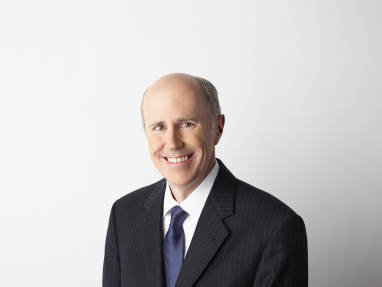 President and Chief Executive Officer, Steelcase Inc.
James P. Keane is president and chief executive officer of Steelcase Inc., the global leader in the office furniture industry. Appointed to this role in March 2014, Jim oversees all operations of Steelcase Inc., including domestic and international operations. Previously Jim was chief operating officer for Steelcase, a role he was appointed to in November 2012, where he was responsible for the design, engineering and development, manufacturing, sales and distribution of all of our brands in the countries where we do business. He also retained the leadership duties of his previous role as president of Steelcase Group (2006-12), in which he had responsibility for the sales, marketing and product development activities of the Steelcase, Turnstone, Polyvision and Steelcase Health brands in the Americas (the U.S., Canada, Mexico and Latin America) and EMEA (Europe, the Middle East and Africa). 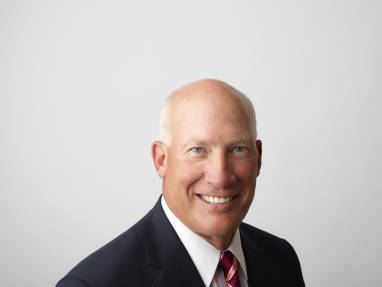 Jim was appointed president and director in April 2013. Jim was senior vice president, chief financial officer of Steelcase Inc. from 2001-2006. Previously, Jim has also led corporate strategy, IT, Steelcase Design Partnership, and research and development since joining the company in 1997. 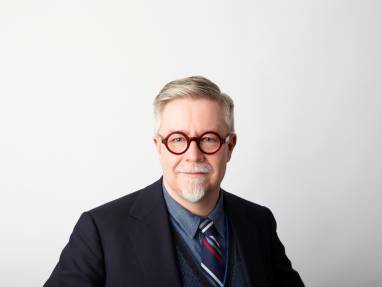 He serves on the boards of Rockwell Automation, IDEO, the Economics Club of Grand Rapids and Business and Institutional Furniture Manufacturer’s Association (BIFMA), the board of trustees of Grand Valley University Foundation and the executive board of Design Futures Council. Jim earned a bachelor of science degree in accountancy from the University of Illinois and a master’s in management degree from the Kellogg Graduate School of Management at Northwestern University. 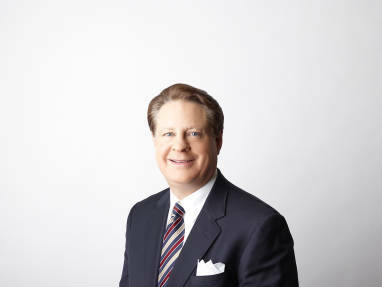 President and Chief Executive Officer of Plexus Corp.
Todd P. Kelsey is a member of the board of directors of Steelcase Inc., the global leader in the office furniture industry. Steelcase delivers a better work experience to its customers by providing products, services and insights into the ways people work. Its portfolio includes architecture, furniture and technology products. 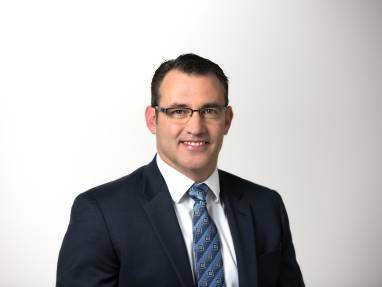 Todd is currently president and chief executive officer of Plexus Corp., the leader in providing electronics design, manufacturing and aftermarket services to companies in mid-to-low volume, higher complexity markets. In his role, Todd is focused on creating long-term shareholder value and ensuring Plexus’ strategy is broadly understood and its core values embraced. Todd serves on the board of directors of Plexus and, prior to his current role, held positions in engineering, strategy, finance, customer service and operations. He served for seven years on the Dean’s Advisory Industrial Advisory Board for the College of Engineering at the University of Wisconsin–Madison. Todd holds B.S. and M.S. degrees in electrical engineering from the University of Wisconsin – Madison, as well as a M.B.A. from the University of Wisconsin – Oshkosh. Jenny Niemann is a member of the board of directors of Steelcase Inc., the global leader in the office furniture industry. Steelcase delivers a better work experience to its customers by providing products, services and insights into the ways people work. Its portfolio includes architecture, furniture and technology products. Jenny is president, chief executive officer and owner of Forward Space, an independent Steelcase dealership in Chicago. In her role, she is responsible for the strategic leadership of the company and for providing guidance and leadership in support of client needs. Prior to her role with Forward Space, Jenny was chief executive officer of Red Thread, a Steelcase dealership in New England. In 2011, she led the acquisition and integration of three dealerships that merged to form Red Thread. Before establishing Red Thread, Jenny spent 20 years with Steelcase in various leadership positions. She was responsible for the continued development of the Steelcase dealer network in North America and also held roles in marketing, product development, information technology and operations. 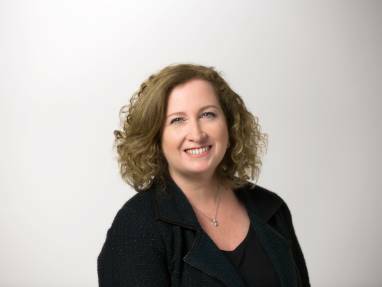 Jenny began her career with Accenture (Andersen Consulting), where she advised businesses on the design, test and implementation of information systems. Jenny serves as a trustee on the board of the Chicago Architecture Foundation. She holds an M.B.A. from the University of Michigan – Stephen M. Ross School of Business and B.A. degrees in mathematics and economics from Bowdoin College in Brunswick, Maine. Robert C. Pew III is a member of the board of directors of Steelcase Inc., the global leader in the office furniture industry. Steelcase delivers a better work experience to its customers by providing products, services and insights into the ways people work. Its portfolio includes architecture, furniture and technology products. Now a private investor, Rob served as president of Steelcase North America from May 1990 to March 1994. In that capacity, he was responsible for all sales, marketing and manufacturing operations involving Steelcase-brand products. Rob originally joined Steelcase in Grand Rapids in 1974 as a product standards engineer in the Chair Plant. In 1975, he was named a wage and salary administrator in the Human Resources department. In 1976, Rob became an employee relations manager, responsible for the Desk Plant and, later, the File Plant. In 1977, he was promoted to superintendent of the File Plant. Rob was named plant manager of the Steelcase facility in Fletcher, North Carolina, in 1979. He held that post until 1984, when he left the company to become one of its independent dealers, eventually owning and operating Steelcase dealerships in Asheville and Charlotte, North Carolina, and in Jacksonville, Florida. In 1988, Rob returned to Steelcase in Grand Rapids as vice president and assistant to the president. He was named executive vice president, Steelcase operations, in 1989. Rob’s activities in the not-for-profit world have included a term as president of Junior Achievement of Western North Carolina and various roles within United Way, including chair of the Community Planning and Allocation Process of the Buncombe County United Way and overall campaign chair of United Way of Western Michigan. Rob has also served as chair of the Asheville Downtown Commission and campaign chair for the Pack Place Arts and Science Center. Rob is a former trustee of Grand Valley State University and was formerly board chair of the Institute of Design in Chicago. Rob earned a bachelor of science degree in social studies from Grand Valley State University in Allendale, Michigan. Cathy D. Ross is a member of the board of directors of Steelcase Inc., the global leader in the office furniture industry. Steelcase delivers a better work experience to its customers by providing products, services and insights into the ways people work. Its portfolio includes architecture, furniture and technology products. Cathy retired from FedEx in July 2014, where she was executive vice president and chief financial officer for FedEx Express, the largest FedEx operating company and the world’s largest express transportation company. Her responsibilities included all aspects of the company’s worldwide financial affairs, including financial planning, reporting and analysis, revenue and disbursement accounting and control functions, as well as long-range strategic planning. Cathy also oversaw the FedEx Express business system and sourcing functions. She managed almost 3,000 professionals throughout the U.S., Asia, Europe, Canada and Latin America. Cathy joined FedEx in 1984 as a senior financial analyst. She is a five-time recipient of the FedEx Express Five Star Award, the company’s top employee honor. In 2005, 2007 and 2009 she also received the FedEx Express CEO Five Star Award in further recognition of her numerous outstanding contributions to the business.. Prior to joining FedEx, Cathy worked for Kimberly-Clark Corporation as a cost analyst and cost analysis supervisor (1982-1984) and for Buckeye Cellulose Corporation (a subsidiary of Proctor & Gamble) as an accounting supervisor and staff accountant (1978-1982). Cathy serves on the board of directors of Avon Products, Ball Corporation, the National Civil Rights Museum and the University of Memphis National Alumni Association executive board of directors. In 2007, she joined other notable women of achievement as a member of the Tennessee Women’s Forum, and she is a member of Delta Sigma Theta Sorority and Delta Sigma Pi Professional Fraternity. Cathy holds an accounting degree from Christian Brothers University and an M.B.A. from the University of Memphis. She was honored with the Distinguished Alumna Award from the University of Memphis and the Women of Excellence Award from the Memphis Tri-State Defender. In addition, she was named among the “25 Rising Women of Finance” by JPMorgan Chase/Treasury & Risk Management, the “50 Most Powerful Black Women in Business” by Black Enterprise, and “CFO Thought Leader” by Booz Allen. Peter M. Wege II is a member of the board of directors of Steelcase Inc., the global leader in the office furniture industry. Steelcase delivers a better work experience to its customers by providing products, services and insights into the ways people work. Its portfolio includes architecture, furniture and technology products. Peter is currently chairman of Contract Pharmaceuticals Limited, a contract manufacturer of pharmaceuticals for major pharmaceutical companies. Additionally, he invests in, consults with and serves on the boards of several start-up companies. 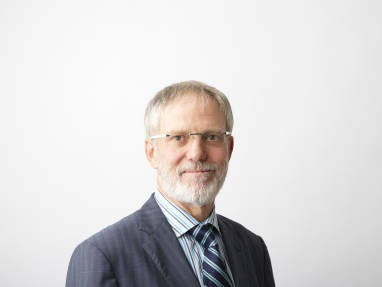 Peter joined Steelcase in 1981 as liaison manager of European operations, based at corporate headquarters. In 1982, he was named executive vice president of Steelcase Canada, then president later that year. Prior to joining Steelcase, Peter was manager of chemical manufacturing at Eli Lilly & Company from 1975 to 1981. In addition to his professional responsibilities, Peter is Board Chairman of the Wege Foundation in Grand Rapids, Michigan. Peter received a bachelor of arts degree in chemistry from Williams College in Williamstown, Massachusetts. He also earned a doctorate in organic chemistry from the University of California, Berkeley. P. Craig Welch, Jr. is a member of the board of directors of Steelcase Inc., the global leader in the office furniture industry. Steelcase delivers a better work experience to its customers by providing products, services and insights into the ways people work. Its portfolio includes architecture, furniture and technology products. Craig is currently member manager of Honzo Fund, LLC and president of JCT Foundation. Craig began his career with Steelcase in 1967 in the production control department. In 1968, he was appointed an industrial engineer at the company’s manufacturing facility in La Mirada, California. In 1969, he joined the sales administration department at the California division and was named manager, district sales, in 1970. In 1970 Craig returned to Grand Rapids, assigned to special projects of the production control department. In 1972, he was named manager of manufacturing systems data processing, and director of production inventory control (PIC) in 1975. Craig was named director of information services in 1985, responsible for all Steelcase data processing activities. In 1987, he left Steelcase to concentrate his business activities in real estate and venture capital. He attended Colorado College and Michigan State University, where he earned a bachelor of arts degree in sociology. Kate Pew Wolters is a member of the Board of Directors of Steelcase Inc., and chair of the Steelcase Foundation, an endowed corporate foundation of Steelcase Inc. Steelcase Inc., the global leader in the office furniture industry, delivers a better work experience to its customers by providing products, services and insights into the ways people work. Its portfolio includes architecture, furniture and technology products. 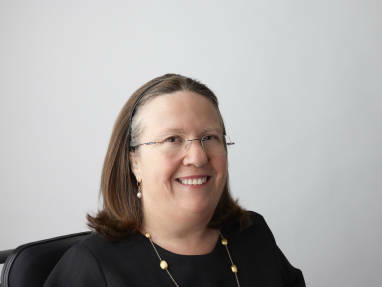 Kate was appointed chair of the Steelcase Foundation upon her leaving the post of executive director of the Steelcase Foundation in October 1996. The Steelcase Foundation was established in 1951 to make grants to non-profit organizations, projects and programs in the areas of human service, health, education, community development, the arts and the environment. Particular concern is given to people who are disadvantaged, disabled, young and elderly as they attempt to improve the quality of their lives. Kate also serves as president of the Kate and Richard Wolters Foundation. Founded in 1997 by Kate and her late husband, Richard, this private foundation makes grants to non-profit organizations with an emphasis in the arts, education, human services and people with disabilities. Kate was appointed by President Bill Clinton to the National Council on Disability in 1994 and was reconfirmed by the U.S. Senate in 1996. For eight of her nine years on the council, she served as its vice chair. Kate currently serves as a board member for a number of organizations, including the Progressive Education Fund and the Michigan Protection and Advocacy Services. She also serves as a member of the board of the Mary and Robert Pew Public Education Fund, a foundation established by her parents that addresses public education in Palm Beach County, Florida. 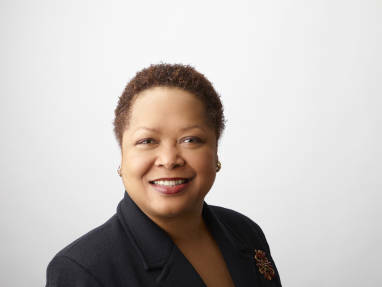 She serves as co-chair of the First Steps Commission and was appointed by Michigan’s Governor Granholm to an eight-year term as a member of the Board of Grand Valley State University in 2004. Kate joined the Steelcase Foundation in 1986 as executive director after serving as director of the Grand Rapids Center for Independent Living for two years. From 1982 to 1984, she was a staff social worker in the Steelcase Inc. Counseling and Referral Center. Kate holds a master’s degree in social work from Michigan State University and a bachelor of arts degree in sociology from Aquinas College in Grand Rapids. She has received an honorary doctorate of humane letters from Aquinas College (1999), Distinguished Alumni Award from Michigan State University (1994), Arts Award from the Arts Council of Greater Grand Rapids (1997), YWCA Tribute Award (1997), and the Women of Achievement and Courage Award from the Michigan Women’s Foundation (2001).